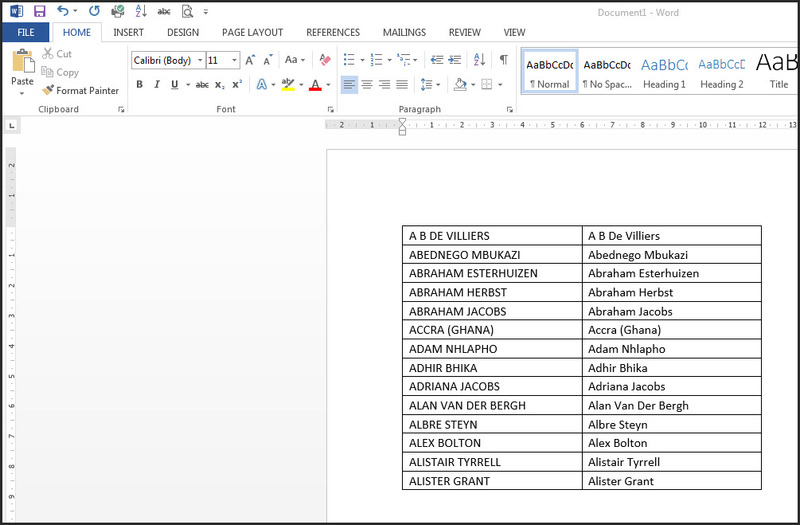 So back to our company telephone lists that can be such a mess, or any list type information in this case. Quite often the values are all typed in capital letters. Capital letters are shouting, not great etiquette. 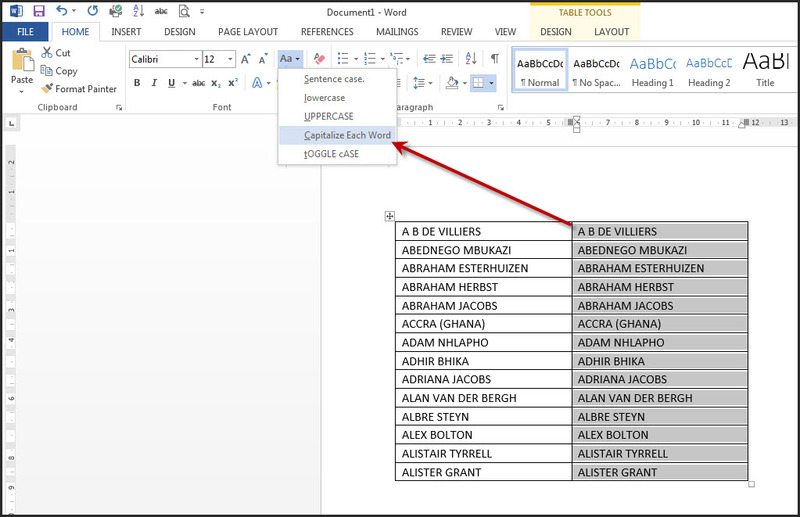 In Word you can convert all capitals to only the first letter capitalised by using Change Case option on the ribbon. 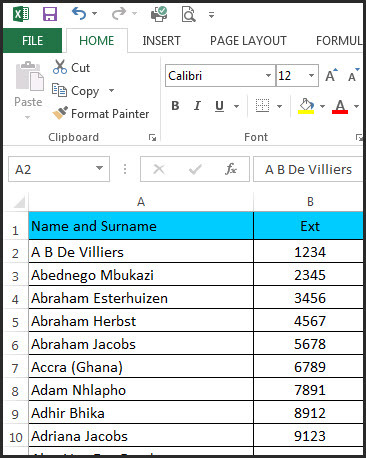 In Excel, you would use a formula to do this. Create a new column next to the one you want to fix. 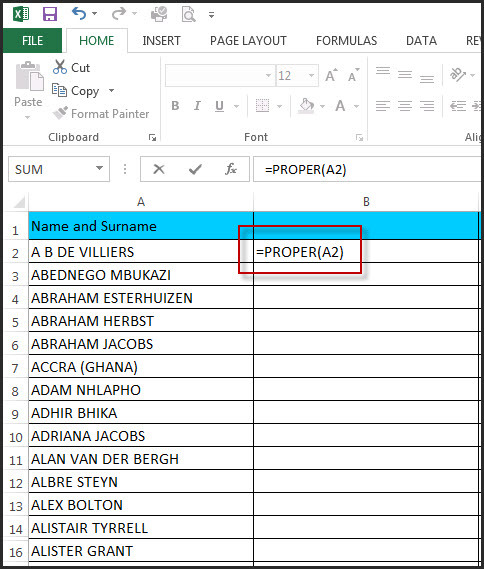 Type in =PROPER and reference the cell you want to change, in this case, A2, then Enter. 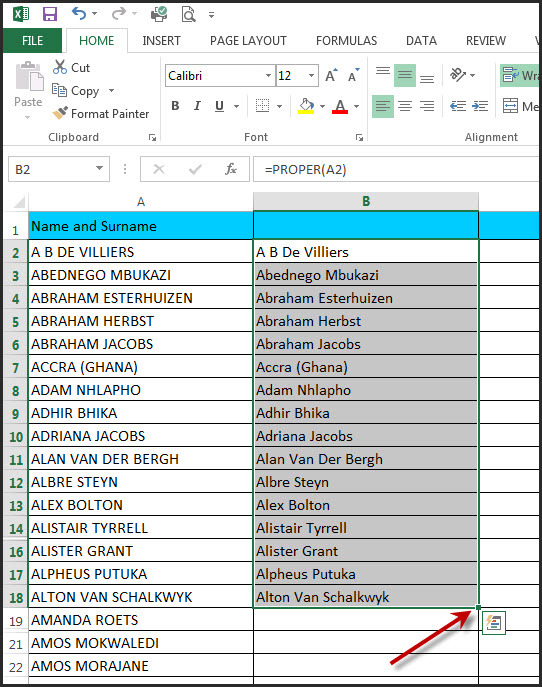 The field will display with the correct formatting. 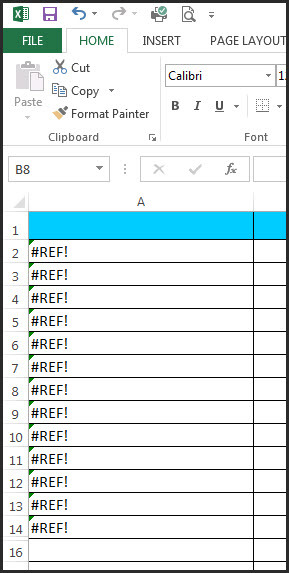 Then you can just fill the rest of the cells by clicking the bottom right corner of the cell and dragging it down to all the fields you want to change. However, you can’t just delete the source column (A above), because it’s using a formula reference so if you delete it, you will get errors. 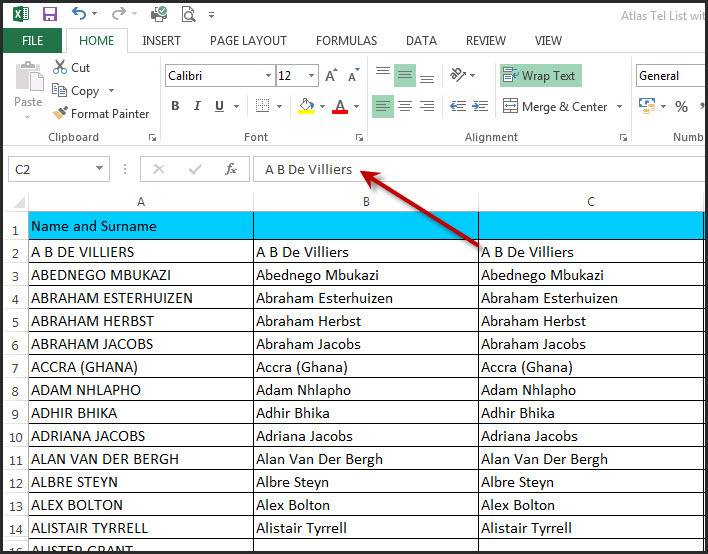 You need to create another column, copy the values and then click the dropdown menu on Paste and select Values. 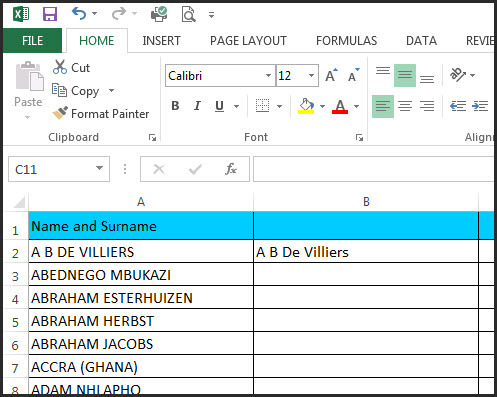 That will strip out the formulas and you can then delete the other columns. And end up with clean data. Sound shleppy? It’s either that or retype 500+ names…. 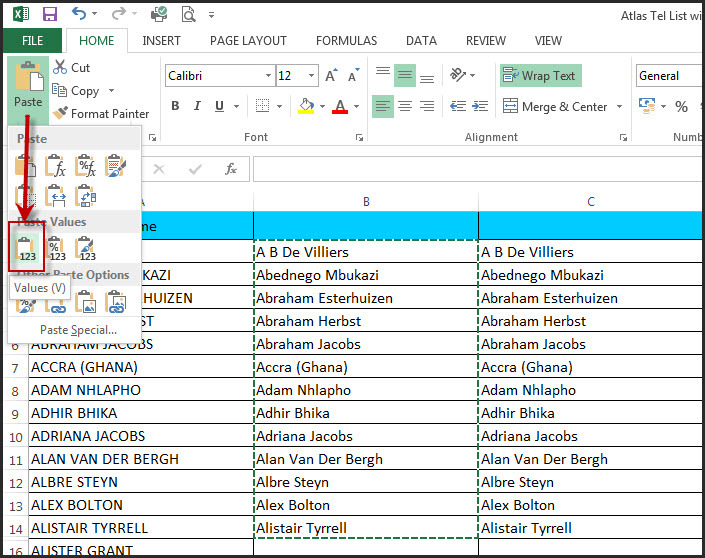 Big THANK YOU to Louise Currie for the Excel tip! Next Lets Collaborate Turns 5 Years Old Today!